North Glenmore homes for sale belong to one of Kelowna's most prominent communities. Home to sections of Wilden and McKinley Landing, this tranquil neighborhood is situated north of Kelowna, wedged between highway 97 and the banks of Okanagan Lake. The area is known for its luxurious homes in the $6,000,000+ range, but there are options for many buyers here, as North Glenmore is quite family-friendly. Ideal for those who prefer to be away from the hustle and bustle of Kelowna's city center, this gorgeous community is a wonderful place to raise a family, retire, or revel in Kelowna's luxuriant natural landscapes and world-class outdoor recreation. 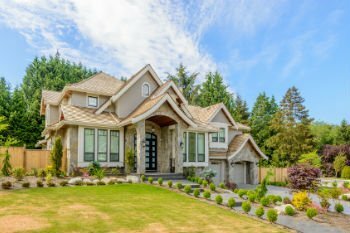 Search the latest North Glenmore homes for sale in our listings below. You can also read more about North Glenmore real estate and find out what it's like to live in this desirable area. To view complete property details for all North Glenmore homes for sale and access next-level digital search features, sign up for an account with Vantage West Realty today! North Glenmore real estate includes both attached and detached living styles. Condos and townhouses begin in the $200,000s and there are many new, modern options with amenities such as pools and sport facilities. Units are bright, trendy, and finished with streamlined contemporary style. These fresh, airy homes are perfect for individual professionals or families just starting out. North Glenmore's single-family detached homes start around the $400,000s, and include stucco traditional, Craftsman, and split-level homes, most of which feature two stories. Some of the Craftsman dwellings can be quite elegant and upscale, particularly in areas such as Wilden. Features such as granite countertops, hardwood floors, and geothermal heating are not uncommon by the $700,000s. Many of Glenmore's communities enjoy acres of landscaped green space, bluffs, and trails to explore. Some of the homes priced in the $800,000 to $950,000 range are established lakefront cottages or older properties situated on large plots of land exceeding 3 acres. The latter type of home offers buyers the opportunity to re-build their own custom house from the ground up or simply enjoy the cozy, existing property. North Glenmore is highly sought-after for its luxury homes, ranging from $1 million to more than $6 million. There are also a number of vacant lots, sometimes exceeding $10 million, on which interested luxury buyers can craft an exquisite mountainside estate or custom mansion on private, wooded land. The completed luxury homes in the area include a mix of beachy waterfront properties with boat launches and lifts, towering lake homes with sections of private beach, and unmatched executive mansions with features such as elevators, multi-car garages, wet bars, and spas. The sweeping views and world-class architecture of the homes tucked around Dilworth Mountain are without a doubt some of Kelowna's most impressive developments. Luxury buyers looking in North Glenmore can easily find a home that caters to their desired lifestyle. If you'd like a fruit orchard, pear farm, wine cellar, or forest on your property, you can have it. Want a private mountain retreat with an on-site lounge, outdoor kitchen, and rooftop hot tub? How about space to create your own vineyard? Chances are, you can find it here. If not, there are plenty of properties ready for custom expansion! North Glenmore is a wonderful place to live, with an idyllic climate and ambiance. Homes are only a short distance from UBC Okanagan and Kelowna International Airport, so its easy to catch a flight or take a class in the area. The lake is the centerpiece of recreation here, with its beautiful beaches and clear, fresh waters. There are also many smaller, quieter lakes throughout the area. Hike through gentle and steep hills, sun-dappled glades, and around rugged escarpments. You will find many picturesque hiking and biking trails, as well as ice skating on ponds in the winter. The Okanagan Golf Club is close to many North Glenmore homes, as is Shadow Ridge Golf Club. Both of these amenities offer well-designed courses, ongoing events, and bookable event venues. Shopping and dining in downtown Kelowna is just a 15-minute drive away from North Glenmore real estate, allowing residents to hop between exciting city streets and their serene, luxuriant neighborhood at their leisure. Get in touch with your North Glenmore real estate experts at Vantage West Realty today. Whether its a luxury home you're looking for, or something more simple, we can ensure you find exactly what you need in this rich and varied market.